Home CHEFS Allan Rosenberg’s Fontleroys to open on Bardstown Rd. Allan Rosenberg’s Fontleroys to open on Bardstown Rd. The restaurant space at the corner of Bardstown Rd. and Grinstead Dr., that has been Uncle Maddio’s Pizza Joint–one of the first businesses to occupy the renovated corner that had sat empty for some time after replacing the auto body shop that had been there–will in the near future become Fontleroys, to be opened by Allan Rosenberg, most recently executive chef at Cena. Fontleroys, besides being a cool and memorable moniiker, is a nod to an early 20th-century mayor of Louisville, James Fontleroy Grinstead, for whom Grinstead Dr. is named. After a major interior remodel, Rosenberg hopes to open in late July. 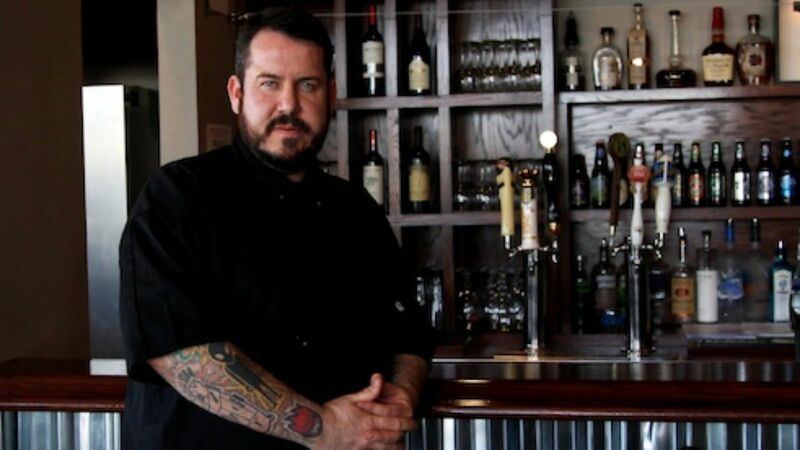 His concept will be a gastropub, serving familiar American food with his own tweaks.